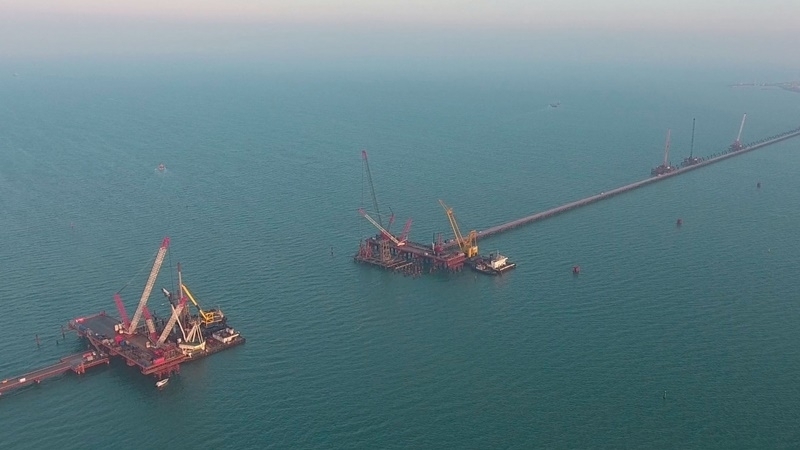 Restrictions for ships in the Sea of Azov introduced by the Russian Federation in connection with the Kerch bridge construction are breaching the UN Convention on the Law of the Sea. The Russian Federation introduced restrictions for the movement of vessels through the Kerch Strait in contradiction of the UN Convention on the Law of the Sea, Ministry on temporarily occupied territories and IDPs of Ukraine stated. The Ministry, in particular, indicates that the arch height will be limited to 33 meters above sea level. Furthermore, if earlier the passage of vessels up to 200 meters in length was allowed through the Kerch Strait, now the Russian Federation claims to limit the permitted length to 160 meters. “New requirements for the dimensions of vessels, according to Mariupol port do not correspond to at least 144 vessels that were calling at the port during the last year, representing 23% of the total number. These are vessels that account for 43% of the port's cargo handling. The established restrictions will lead to the fact that only ships with a relatively lower total cargo capacity (10 thousand tons) will be able to enter the Mariupol seaport. This, in turn, will affect the competitiveness of the port, since such vessels can transport cargo within the Black and Mediterranean Seas. To other places like Asia, Africa and to American countries, transportation is carried out by vessels of ocean classes as a larger vessel allows to reduce the cost of sea transportation per ton of cargo,” the Ministry of Transport and Communications says in a statement. Reference: According to Article 44 Duties of States bordering straits of the UN Convention on the Law of the Sea 1982, ”States bordering straits shall not hamper transit passage and shall give appropriate publicity to any danger to navigation or overflight within or over the strait of which they have knowledge. There shall be no suspension of transit passage." 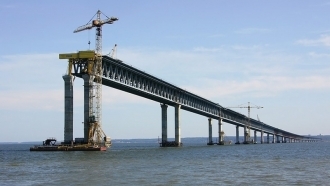 Earlier QHA reported that the Ministry of Foreign Affairs of Ukraine expressed its protest against the navigation restrictions in August-September through the Strait of Kerch by the Russian Federation, and stressed the illegality of the Kerch bridge construction.